↑ "Physicist Stephen Hawking dies aged 76". BBC News (用英文寫). 2018-03-14. 喺2018-03-14搵到. ↑ Sample, Ian (2018-03-14). 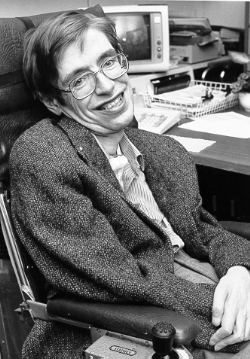 "Stephen Hawking: modern cosmology's brightest star dies aged 76". 衛報（中文：衛報）. 喺2018-03-14搵到. ↑ "霍金逝世 英國物理學家享壽76歲". 中央社. 2018-03-14. 喺2018-03-14搵到.